Lillentahl (Freiberg) showing 1979 WST trials with best progeny grown from Sailerhausen seed. A Woodland Heritage funded tour of some of the finest sites in Germany for wild service tree has boosted UK-forestry knowledge of this potential alternative hardwood species. Planned and co-ordinated by forestry consultant, Christopher Guest, other attendees were Nick Marsh, a National Trust employee whose current Masters dissertation is focused on wild service, and Miles Barne, who is undertaking silvicultural trials on wild service in woodland on the Sotterley Estate in Suffolk. Classed as a medium priority species in the Sustainable Seed Source Project’s report of 2015, wild service is recognised as having future timber potential, but its uptake is low in the UK with its form and productivity failing to match what has been achieved over the centuries in countries such as Germany and France. Whilst oak is the main species in the University Forest District, Sailershausen, wild service contributes substantially to economic revenue attracting many study groups wanting to learn more about its silviculture. The Woodland Heritage funded group tackled topics such as seed collection, seeds versus suckers, planting (whether as patterns, pure or mixtures and densities), artificial or natural pruning, tending, thinning, diseases, markets and target diameters, all helping to understand how the finest wild service trees can reach 33m in 110 years.Genetic quality was also of major importance to the group, especially when considering the potential for sourcing for planting trials. As well as the visit to Sailershausen, the study tour also visited Lillientahl-Freiburg to view and discuss a provenance trial established in 1979 and to learn from the successes achieved and challenges presented in this experiment. The third visit was to forests in Saarland and Lorraine where natural regeneration of wild service has been occurring for many decades in principally mixed oak and hornbeam stands. The continuous cover management strategy in both of these regions is strictly focused on the production of premium quality timber. 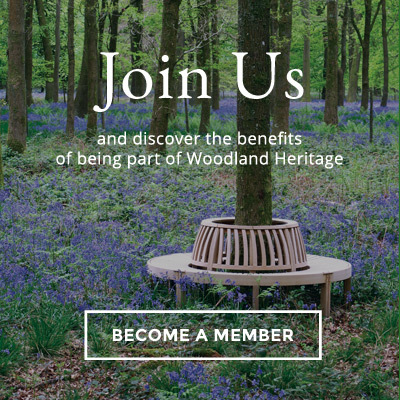 For more information on this release, please contact Guy Corbett-Marshall, Development Director, Woodland Heritage on 07816 384221.